Last night, I was really torn on whether to run/yoga or take a rest day. This had actually been on my mind through out the day. I WANTED to run and then do yoga, but was very aware that my legs (especially my thighs) were really, really sore. I couldn’t see where I would make it through half of the PeoplesYoga Beginner 1 class, let alone all of it! I alsocouldn’t see if it would actually be beneficial to do it, But I am getting ahead of myself..
From a background stand-point, I think many of the 3 of you were reading this blog back in the July – Sept range, when I started a new job in a new state, and then was (finally!) joined by my family 2 months later. 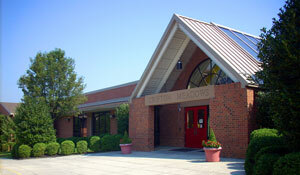 This of course meant – not only a new job for me, but also that my kids were switching schools. Needless to say, this first quarter was more than a bit rough on the kids. 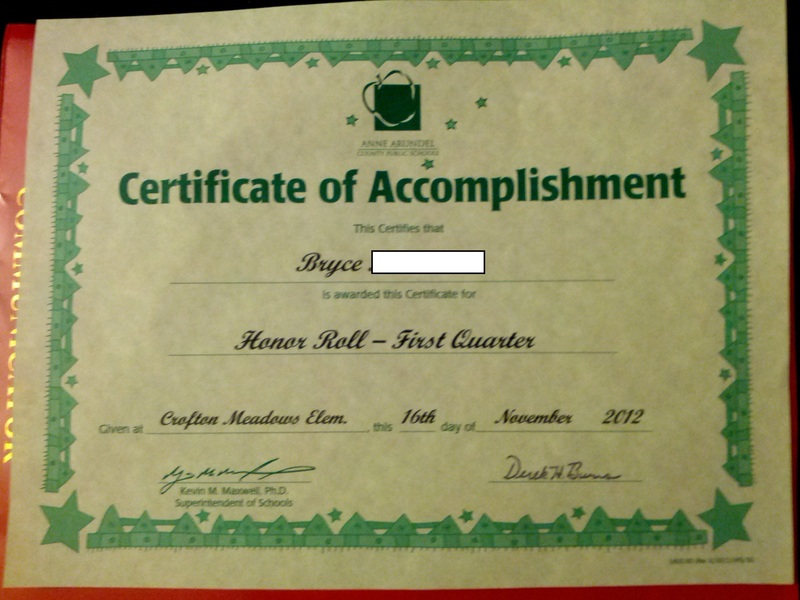 When you add in a two-week attempt of doing no homework by my son (and hiding all evidence from us – such as notes from the teacher) you can imagine what our expectations were for report cards. Seriously? 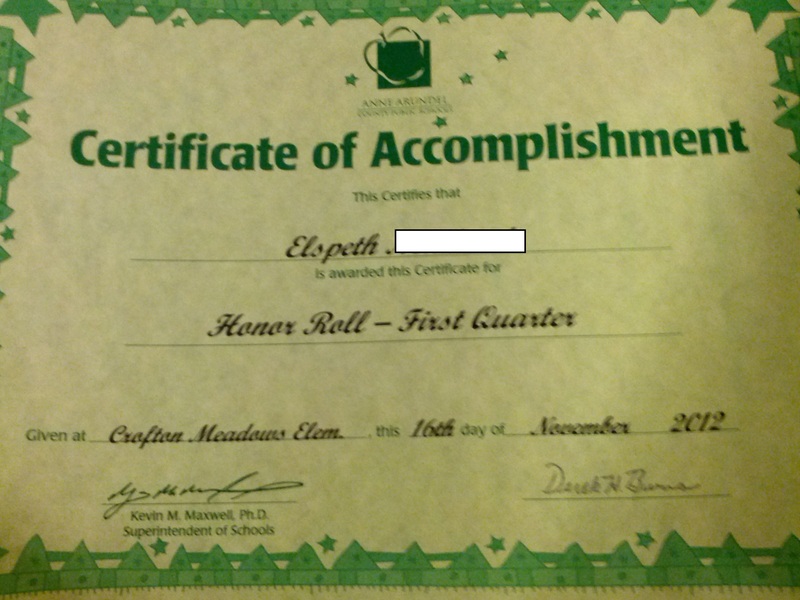 With everything that went on this quarter – they both pulled Honor Roll? WTF??? I have GOT to have two of the most Amazing Kids (and yes, I capitalized that on purpose) ANYWHERE!!!! After posting these to Facebook (Remember, nothing really happens unless it is posted to Facebook,) gushing over how amazing the kids are – to the kids (never forget to tell how awesome people are TO the awesome people!) – we HAD to go celebrate! Since this was their celebration, it only made sense that the kids picked the celebration location and it seemed that big ice cream was in order. 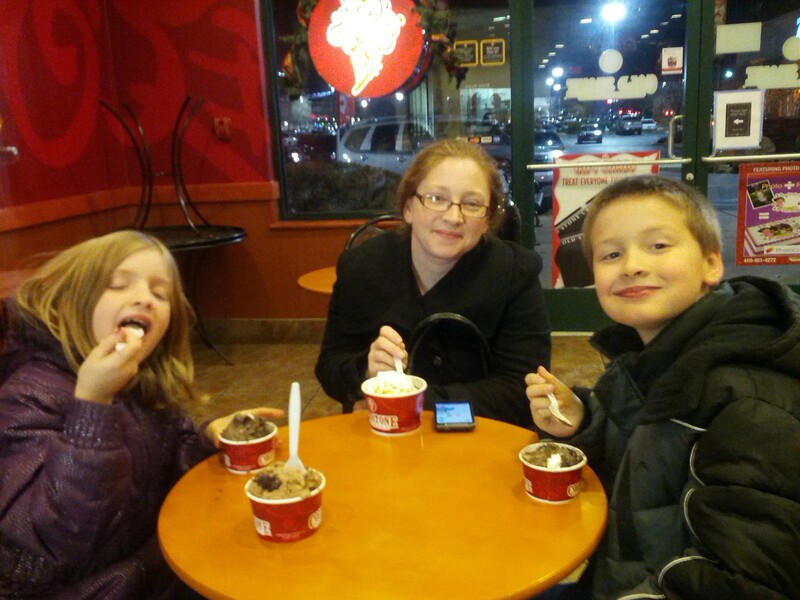 We ended up at Cold Stone Creamery, and while we hadn’t been to the local one, these two were very familiar with it from Binghamton, NY. So, two peppermint celebration “I Like It” size ice creams later, you can see our two very happy children with my lovely wife! So how is this pertinent to my wanting to run, and deciding whether or not to take a rest day? Well, after half of a cold stone Creamery ice cream (mine is the one in the picture with no one currently eating it), I certainly needed to exercise! I was after all 98 calories over my daily limit (seriously… After eating Ice cream I was only 98 calories over.. I thought that was remarkable as well!) I knew how sore my legs were, yet I still was set to go run on the treadmill due to being over-calorie. (My wife thought I was foolish and couldn’t wait to hear if I had managed to keep the ice cream down after running.) My son? I think he may have saved me. 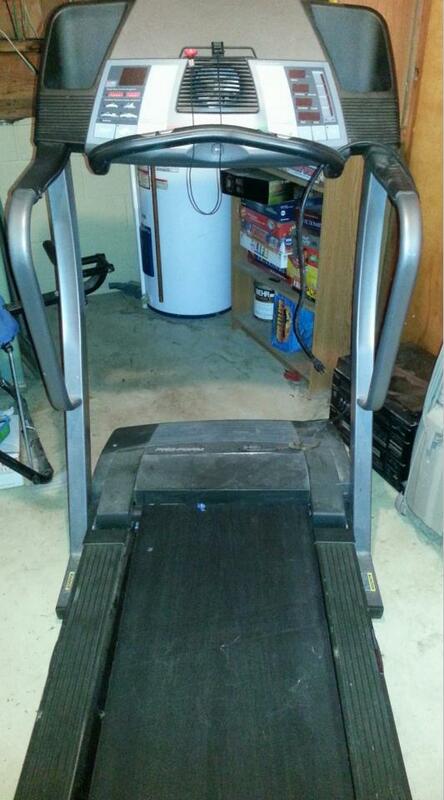 So home we went, and I showed him how to use the new-to-me treadmill. He wanted to start our running, but I suggested a walk so he could get used to it. So last night he did a fast walk , while watching TV – and stuck it out for an hour! I may have a chance at turning him into a runner yet! Thanks to my son, my choice was made and yesterday was (Wisely) a day of rest. I know that tonight, when I do two miles followed by Yoga – my muscles will be much happier since they were given a day to recuperate! ! I am not sure if I am interested in doing it the same time as my wife though (and I think she returns the thought.) I suspect I would feel a bit awkward doing it the same time as her – I’m not comfortable in the poses, and I remain as flexible as a board. Have any of you worked out with your spouse/girl-boy friend? (I mean when you were both OUT of shape, not two athletes working out together!) How did it go? Any advice if we do? In regards to the Kids? I think they are adapting well and are on-a-roll (see what I did there?) toward a much better life than we had in NY. I know my wife and I are as well! Robinson, I used to go to the gym with my ex husband and we did different exercises and met up after showering. It worked ok until he wanted to go early morning and I preferred 8 pm. Then he got much heavier because he wouldnt go unless I went with him. Very codependent as I learned from therapy. I ride my bike with or without my boyfriend but his riding level is substantially higher than mine so I always give him the pass to leave me and go ahead. He will usually take it but if he is feeling sluggish he sticks with my blazing fast 15mph average. Its not an issue about time because we go when its light out and not too cold in winter or hot in summer. I dont recommend taking a class together as we have a tendency to check on loved ones instead of focusing on ourselves as well as making them feel a little self concious because you may observe and likely comment that their archer stance was not as solid as last class… Its our natural competitive nature. Just find the class that is right for you where your focus is your physical health. Maureen! I was wondering if you were still reading after my several-month break! I’m glad to see you still are! I suspect you are giving me VERY good advice. I tried doing my Yoga DVD with her just in the room and felt self-concious. I could run with her – but running is what I do. I also suspect I would try and “help” her run – improve her form, etc… Which would not actually be helpful to her!